When it comes to the face of business, it is important to change it over the time to keep up with the pace of innovation. Digital revolution sets its own rules on the way business is transformed. 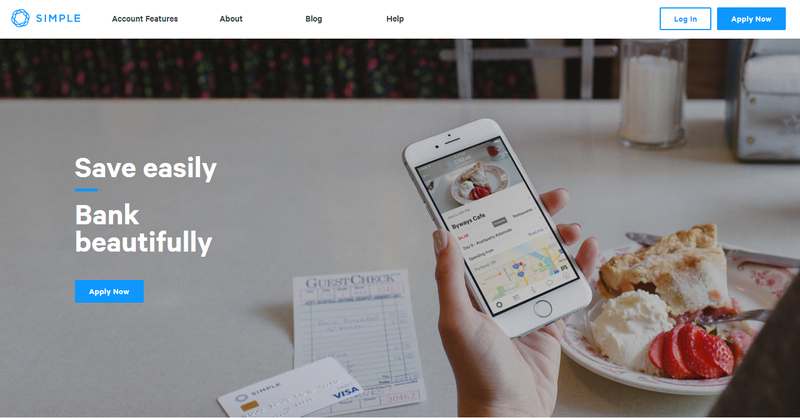 Brick-and-mortar shops are empowered with online versions, face-to-face payments – with one-click purchases, and no company can be successfully represented without a good website. Among others, financial services providers may feel a bit overwhelmed with radical changes they need to undergo, as their principal value has always been security and confidentiality, which implies some conservativeness. 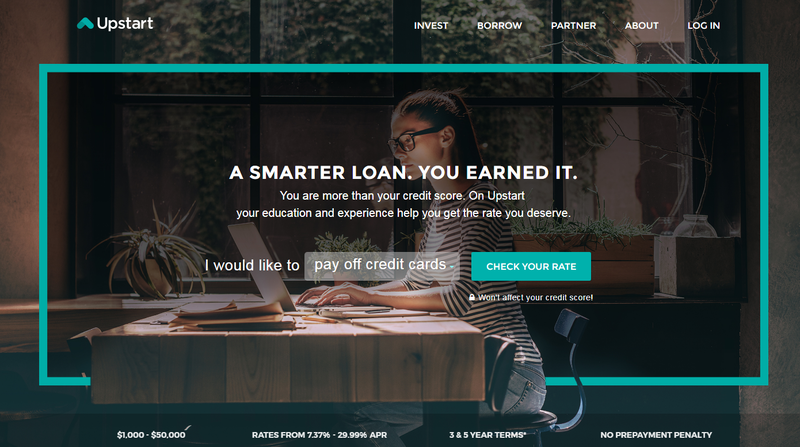 For years financial services websites have been characterized by stable and trustworthy color schemes, mostly in greens which is associated with the color of money, or navy blues radiating with cool and calm feeling. New generation websites, in their turn, have brought a new wave of vivid colors and fonts. An old vanilla spreadsheet-like design transformed to the simple layout, animated elements, and colorful graphs and icons. People are becoming more open to innovation and new approaches to financial services and money issues. However, many are still discrete about AI-based personalization or robo-advisors on the website which are no longer marketing touting but the real tool for enhancing customer experiences. What is truly important in translating these ideas to the new generation audience is to use the clear and simple language that speaks to the visitors like a friend rather than a point of authority. Photos, videos, and graphical schemes add to the trustworthiness and customer loyalty to the new-wave technologies. Analytics, statistics, and predictions are hot topics in financial services. Over the last years, they have grown from small add-ons extended stand-alone systems adjustable to customers needs. A small analytical app embedded into your website will suffice to give general insight into your competencies. Let me give an example. A company provides personal finance management services, and one of the most popular is pension fund management. 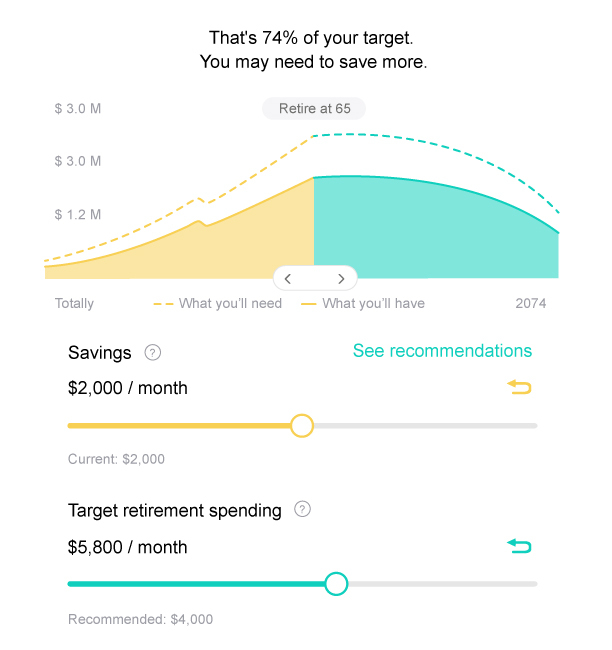 Why not embed a retirement savings calculator and get recommendations on the most suitable plan for a customer? More than likely, they will ask a consultant for more information. However, this kind of self-service will add to the democratization of data analytics and let you win customers’ loyalty. Directing your customers to the next steps is a really big deal, and a part of mission is creating organized sections and lines. Put the buttons “Request a quote,” “Get a free consultation,” “Check your rate” in the center or on the right side of a page, make them easy to understand, to avoid visitor’s confusion about where to go next. For example, if you provide a variety of services, instead of displaying all of them on the home page, put the list in a drop-down menu and follow them with a bold button. Next-generation audience is pressed for time, so bouncing from one analytical website to another is a daunting task. If you give them a quick insight into the daily stock market reports, currency exchange rates, or ForEx news, they are likely to come back to your website. Standard informer widgets will do, just customize their design and content relevant to your business specifics and user interface. It was previously mentioned that adopting artificial intelligence technologies should be a part of a big strategy for every financial services company. Though, it’s worth saying that implementing a system that handles transactions without human involvement or makes predictions may go unnoticed without the interaction with the customer. That’s where conversational chatbot interfaces come into play. It’s now popular to talk about them; however, few people know why they are so helpful. Activated by voice or text, they leverage AI technology to serve your purpose, whether it’s a Q&A session, mortgage calculator, consumer index calculator for cities, etc. However, don’t rely much on the machine learning algorithms, it’s better to empower your chatbot with hardcoded questions and answers and prompt programming since there is no room for improvisation and ambiguity in the financial services industry. As a financial services provider, you have an obligation to protect your customers’ data and assets. The risk grows when you are transforming your business by adding new options to your website, like mobile payments or business intelligence systems. Incorporating SSL certificates to secure connections and protect data is a powerful measure; however, you should first consult professionals who know how to go beyond traditional security methods that are already being bypassed by sophisticated cyber attacks. Well, this is not a website, but high-load websites are not always mobile-friendly. The app will provide a better user experience for any financial institution, from banks to financial advisors. Implement a set of options, which are the most popular on the go, such as analytical tools, calculators, payments, bill reminders, and account aggregation. People show more trust to the new technologies, from AI predictions to voice interaction and chatbots. Security, data protection, and risk management issues remain the top priority. That said, it’s time to transform your website according to the needs of the rapidly evolving tech world. What does your organization need to keep abreast of the times? Contact Elinext, and our consultant will give some advice on how to refresh your online strategy.